What Will the Net Look Like in 5 Years? Eric Knows! 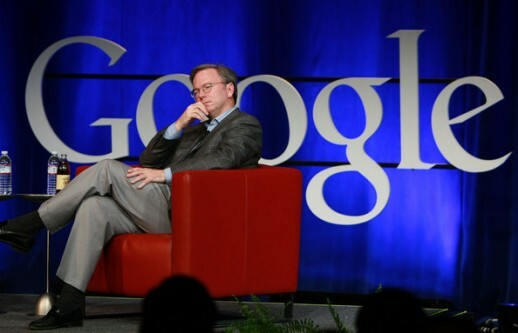 Last week, at the Gartner Symposium/ITxpo Orlando 2009, Google CEO Eric Schmidt expounded on his prediction of how the Internet(s) will look like in 2014. Schmidt envisions a radically “new” internet dominated by the Chinese-language and beakthroughs in social media content, delivered over super-fast bandwidth in real time. Figuring out how to rank real-time social content is “the great challenge of the age,” Schmidt said to thousands of CIOs and IT Directors at the symposium. Within five years there will be broadband well above 100MB in performance, and distribution distinctions between TV, radio and the web will be a memory of the good old days. “We’re starting to make significant money off of Youtube” — that is, content will move towards more video. Want to see and hear Schmidt’s full 45 minute interview? We feel it should be vetted…the question is: will it be true? Come back to this blog five years from now and we’ll most likely see that much of it has become true — and more. The team at Ninthlink is always keeping its eye on future (and present) trends, discussing these matters every day among ourselves and with our clients. Keeping a keen eye on what the future will behold online is paramount to ensuring a 300% RIO in those future spreasheets and quarterly reports. It’s not difficult to watch and predict where the Internet is going — because it’s happening around us ever day. We just need to pay attention, and that means paying attention to what we ourselves are doing as well as that person sitting next to you in the coffee shop with the brand new laptop and software, like the Snapdragon. Watch how the delivery of ads change when you’re surfing the net, watching TV or listening to the radio; listen to the language of today for the clues of tomorrow. And we can’t ignore what kids 8-15 years old are doing, wanting, and demanding in their online behavior and needs, for those very aspects are what will change the face and value of tomorrow’s digital world, whether it’s social media, social politics, or social consumerism. What do you see? Shout out: let us know in that nifty comment box below this sentence! Interesting points, interesting possibilities. Actually, Moore’s law originally referred only to processing speed/capacity based on transistors that fit on a songle chip. The more interesting question will be if the “semantic web”(im Berners-Lee vision of a more pervasive and all-encompassing platform for knowledge exchange will be any closer to fruition. Right now there are interesting moves in that direction: WolframAlpha as a new type of computational search engine, Middlespot as a visually driven and thematically organized mashup and others. Regardless of throughput or computational power, unless intuitive enhancements can be effected to advance the web to the next level, it’s immaterial. Sorry, change “songle” to “single”, and (im to Tim.